Getting a Commercial Driver’s License is crucial in starting a career as a truck driver in North Dakota. One cannot work as a truck driver in North Dakota without a CDL. There are several state and federal requirements that must be met to qualify for a CDL. These requirements are there to ensure the safety of the driver and others on the road. There are also additional requirements to get specific endorsements on your CDL, such as passing a background check if you plan on carrying hazardous materials. The state requires all applicants to be at least 18 years old to drive intrastate. If you wish to drive interstate, then you must be 21 years of age or older. Since driving a truck means being on the road for extended periods of time, one must be physically fit. All applicants, both new and renewing, are required to submit a DOT medical certificate. Applicants will also be required to provide other documents to prove their citizenship or residency. After meeting all the prerequisites, the next step is to submit the completed application along with the supporting documents. Applicants will then undergo a vision test. Applicants will be allowed to take the general knowledge test if they pass. Additional tests must be taken for each endorsement you wish to add to your CDL. Applicants who pass the written exam will be given a temporary learner’s permit. Use this permit to get enough practical experience driving a truck under the supervision of a licensed driver. When you feel that you are ready, visit your nearest NDDOT office and schedule your road test. 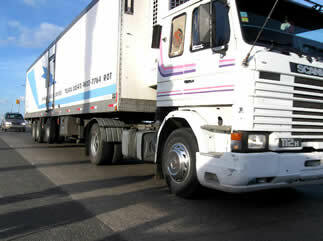 The road test consists of a pre-trip inspection, a basic skills exam, and an on-road testing. Applicants must pass all three parts to receive their CDL. We are currently searching for other CDL training companies to include on this page. If you know of any additional schools located in North Dakota, please submit them to us through our contact form. When you make a submission, please add the name of the facility, address and phone details. A truck driving license in North Dakota will allow you to work as a truck driver within the state for a prescribed number of years. It is important to note that the US government had issued newer rules for acquiring a CDL and one would have to comply with the said rules before they can work in truck driving. Not only do they now require stricter qualifications, they also impose new rules such as self-certification and renewal of medical certifications every two years. If you want to learn how to acquire a CDL in North Dakota, read on for more information. To get a CDL in this state, you will have to be at least 18 or 21 years old if you want to get an intrastate or an interstate license consecutively. You will also need to show that you have a clean driving record and that your driver’s license had not been suspended or revoked for any reason at all at least for the past two years. You must have no convictions for any serious traffic violations or be involved in any serious traffic accidents where you had been driving. You must read the North Dakota CDL Manual as well as it contains all of the necessary information which you will need not just for truck driving but for the various tests that you will have to take as well. The manual contains some of the important information with regards to trucks and truck driving as well as about road signs and other legal aspects of driving. The manual will teach what particular things would be included on the road test which you will need to pass before you will be given your truck driving license. When you have read the manual, you can now proceed to any automated Driver’s License and Testing office where you will have to undergo a visual and written exam. You will need to have a visual acuity of at least 20/40 before you can be allowed to take the written exam. You also have to bring with you some identification such as your birth certificate, a passport, or a US court order where your birthdate is indicated; proof of residence in the United States; and your driver’s license. You must also be fluent in the English language as the exam is conducted in English. If you pass the written test, you will be provided with a temporary learner’s permit which will allow you to drive a truck as long as you are accompanied by a licensed individual. The permit is valid for a few months so make sure that you make the most out of it learning all that you can about truck driving. Before the permit expires, you must be able to take the road test which includes pre-trip inspection, basic driving skills, and a road test. All of the tests must be passed in order for you to acquire a truck driving license in North Dakota and be allowed to work as a truck driver in the state. 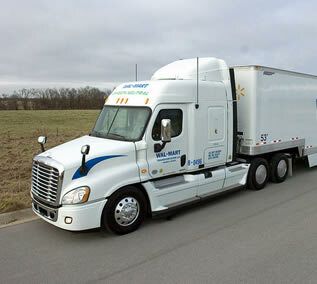 One can find the latest truck driving schools in ND through this link. Attending a school will provide you with the experience to pass the exams and many training facilities assist with job assistance. Below you can read more about CDL requirements at the state’s department of transportation website.